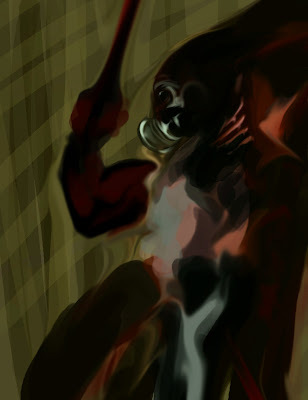 I was messing around with painter tonight and I just couldn't get the look I was going for. 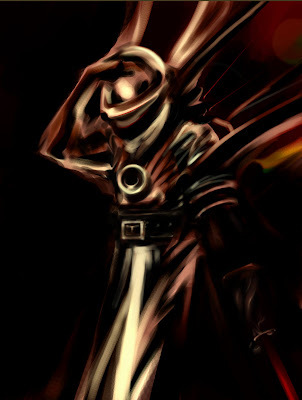 I decided to see if I could get the same effects I was trying to achieve in photoshop. I was going through settings with the brushes, pencils, you name it...just to see what each little variation does. It started getting late and I hate the idea of twiddling knobs with nothing to show for it at the end of the night. I decided to see if I could paint out of all the mess I had on the screen which was just random strokes, shapes and flourishes of color etc, and this was result. that's it...I am going to sleep. Hello everyone, here is another cover for GEN 13 I just did. The concept on this one is just a simple straight-forward shot of Rainmaker and Burnout. It's strange, the simpler the concept, the more challenging the work becomes. I probably spent most of the time I had on this one just thinking about what to do for it, and in the end I eventually settled on one of the first 3 ideas I came up with. The figures on this layout just had a lot more attitude. Okay, like I said different ideas. 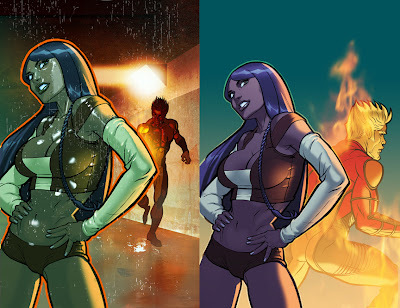 Here's the final revision of the cover that will go to print on the left, back-to-back with the one in solicitations. 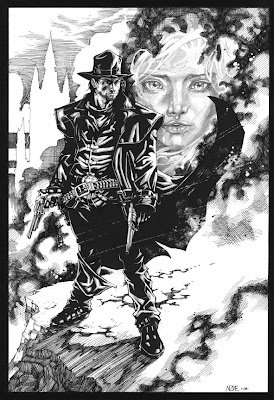 Here's a commission I did of "The Gunslinger" from The Dark Tower series. When asked to do the piece I had no clue about the character or the comic. I waited till the trade came out and absolutely loved the story and of course Jae Lee's stunning artwork. Can't wait for the next series and a special thanks to George Cassidy for commissioning the piece. This is Black Halo, my alter ego. My absence from comics also reflects where he's coming from in his life for the story. I love super hero team books. FUN love and flavor are what I'm reppin' and I was curious about the going ons of some of the other WildStorm Universe characters, so I whipped it all together and freshed out the New Dynamix for the people like me. Still a fan of the American mythos :) I hope you like. Remember that post about hiring a colorist that was on here awhile ago? Well, we received a LOT of coloring samples for it and JJ was really happy to see everyone bring their A-game to the challenge, but eventually we narrowed our pick down to Gabe Eltaeb. 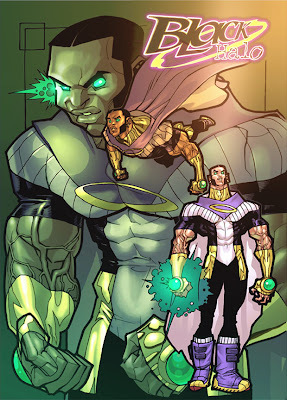 Hello everyone, my name is Gabe Eltaeb and I am the new guy here at WildStorm. 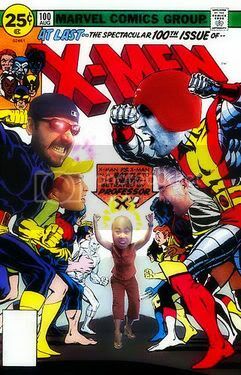 When I was 13 years old in 1991 my good friend Shawn Bandy showed me the first issue of the adjective-less X-Men illustrated by none other than Jim Lee. I had always liked comics but I never had purchased them. When I saw this cover my life changed instantly. I decided then and there to become a comic book artist when I grew up. I have been a freelance comic book artist since 2004. In that time I have been working as a penciller, inker, colorist and sometimes letterer for some other publishers. I am so tired from working all day and I really don't want to color it. I want to go to bed. When I look at the blog's comments section I see that a handful of people have already colored this illustration so I decide to forgo sleep and start making rainbows with Photoshop. About a week and a half later I get a call from WildStorm telling me they saw my art on the blog and asking if I would be willing to relocate. Long story short, here I am working for WildStorm in the most beautiful city in the world. I have been on the job a little over a week now. Everyone has been so kind and friendly here, I feel like I am starting to fit in. I look forward to bringing some CMYK joy to the DC/ WildStorm books. Hello everyone, hope ya'lls had a great New Year! I sure did and look forward to all that 2008 has to offer. 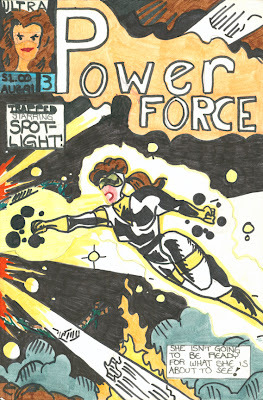 Anyhoo, when I was back home in Austin over the holidays I came across some of my vintage artwork, a cover to issue three of my first creator owned comic "PowerForce". (I drew, inked, colored, and lettered it all by myself, not bad for an eleven year old.) I was in fifth grade and had recently discovered comics and was hooked. My faves were Guardians of the Galaxy, Dale Keown's Hulk, Ghost Rider, Amazing Spiderman, and Todd McFarlane's Spider-Man. 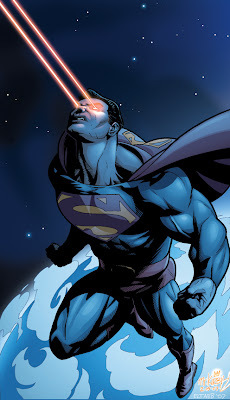 It wasn't too long untill I discovered Uncanny X-Men and a hot up-and-comer by the name of Jim Lee. In case you hadn't noticed, Jim was an influence from the start...the cover of PowerForce #3 was a direct swipe...homage...to an Alpha Flight/Vindicator cover Jim had done. What up? 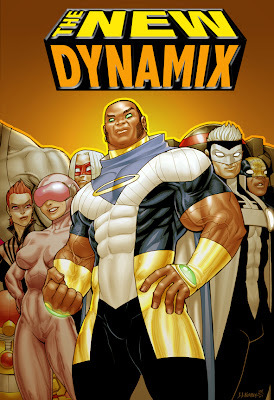 Me and the folks are back from Christmas vacation, but the holidays for me was working on "The New Dynamix." I wanted to do a book that brought moralistic heroes to WildStorm. Characters that reflected the dynamics of the status quo, so I channeled what I wanted to see. Being a fan of WildStorm, and kind of tired of having to be force-fed new characters in new books that I don't really care about. That's why I freshed out old school WildStorm characters to show where they've been at since they've been out of the spotlight. I like superheroes. I like fun and I like flavor. But most importantly, I want to have fun with y'all! I also wanted to work with Allen Warner and Chris Walker, cuz we believe in each other's skills and always wanted to do a book together. 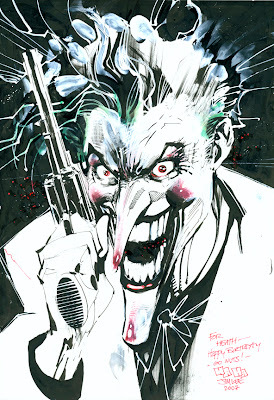 A variant cover by Jim is a dream come true too!